Events have long been a marketing channel for brands to grow their market share through exposure to highly engaged audiences. The problem is that event marketing has lagged behind other marketing channels in terms of performance tracking and as a result, marketers have become more hesitant to commit budget to a channel with murky ROI. 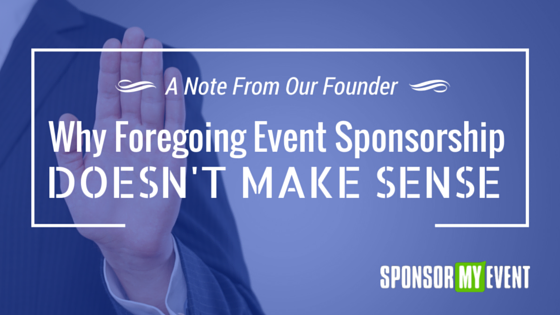 The time for event organizers to change their approach to designing sponsorship offerings arrived a long time ago and now is a critical time for event organizers to adapt their approach and align their offerings with marketers’ needs or face a continued struggle with declining sponsorship sales. 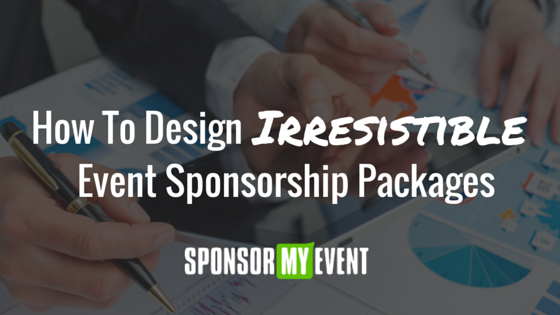 That adapted approach to sponsorship design lies in creating event sponsorship offerings that are innovative, measurable and profitable for both the sponsor and the organizer. Moreover, sponsorship offerings must add value to the attendees’ experience. One way for organizers to successfully adapt their own events’ sponsorship offerings is to start thinking like marketers. And to do so requires a strong understanding of the economics behind marketing spend and the key performance indicators (KPIs) that marketers are measured on. These KPI’s can be reviewed on a number of levels: individual marketing programs (a specific event), campaigns (a set of marketing programs under a single theme or period of time) and overall on a macro level, relevant the company’s entire marketing strategy. Let’s take a look at some of the most common KPI’s that event organizers should keep in mind when they’re ready to design and sell sponsorship. In marketing lingo, an impression refers to a single view of a single advertisement. If you see an ad on Facebook, the advertiser just racked up an impression. You don’t have to click on the ad to be for it to be counted as an impression. Some ad campaigns are priced based on the number of impressions they’ll receive. For these types of campaigns, the goal is to expose people to the brand or product. These campaigns are priced by per one thousand impressions. They’re referred to as CPM (cost per mille, which is Latin for thousand).Other campaigns have an objective of getting ‘clicks’ which means that someone sees the ad and actually clicks on it. Those types of campaigns are priced based on clicks and are referred to as cost-per-click (or CPC) ads. This is a standard KPI that marketers (event sponsors) use to measure how much each new lead costs them. This is calculated by taking the total amount invested into a campaign and then dividing it by the number of leads that campaign generates. With regards to event sponsorship, the total amount of the sponsorship divided by the number of new leads attributed to that sponsorship equals the cost-per-lead, or CPL. Another standard KPI used by marketers to measure the number of leads that actually convert to acquired customers. This is the cost-per-acqusition or CPA.Leads are a good indicator of interest from the target market within any particular channel, such as an event, but without a healthy conversion of leads to customers, those leads don’t mean anything to a marketer. The cost per acquisition is the most direct indicator of a campaign’s success relevant to profitability. The reason is because you can have a relatively low CPL but if only a very small percentage of those acquired leads actually turn into customers, then your cost per acquisition skyrockets for that campaign, or channel. This could mean that overall, that particular campaign or channel just isn’t as successful as competitive campaigns or channels.What this means for events is that sponsors are typically looking at how much new business that event generates and how much it costs them. It can be a nebulous task to track CPA and to assign attribution to different touch points within a customer’s journey but multi-touch attribution technology is very quickly advancing to the point where it’s going to become essential for marketers to be able to report their campaign spend and results at this level of granularity. By thinking of event sponsorship through the lens of today’s marketer, event organizers will be able to craft stronger, more attractive event sponsorship offerings because those offerings will align with the needs of your sponsors. Organizers will need to be creative in how they construct sponsorship offerings so that the above KPI’s are measurable. 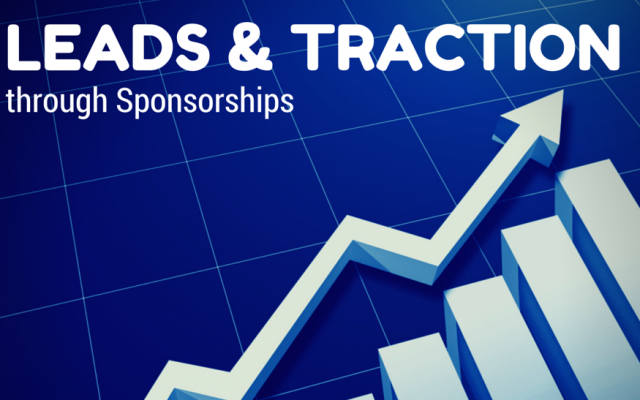 In our next post, we’ll give you a list of ROI-driven sponsorships that you can use for your own events. 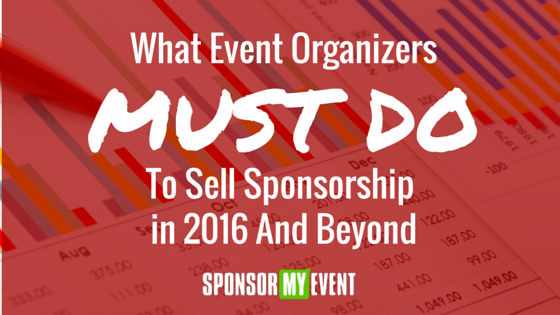 Subscribe to SponsorMyEvent’s newsletter, The Ticket, to be the first to know when it’s live!